Every child can make their world better. To help children become creators, innovators and problem solvers so they can adapt and thrive in a dynamic world. To help educators prepare their students with the essential skills, mindsets and dispositions that will help them thrive in a dynamic future, where 85% of jobs haven’t been invented yet. To equip educators with the tools, resources and support they need to embrace creativity and making in education for improved student performance, engagement and learning. To provide students with important Design Thinking, STEM and 21st-century learning skills using 3D printing and 3D design. To encourage students to think creatively, to apply their knowledge via design, to embrace failure and risk-taking, and to develop resilience, persistence and a Growth Mindset. To provide every single student with the opportunity to learn, grow and succeed at their own skill level and at their own pace. Makers Empire makes the world’s easiest to use 3D design software, Makers Empire 3D. Our app has been specifically designed for grade K-8 students and works on all computers, devices and tablets. To date, students have created over 4.5 million designs using Makers Empire 3D – that’s 22,000 new designs a day! Custom professional learning courses for education departments, ministries and school districts. We have successfully delivered Makers Empire and 3D technology to groups of 200+ schools in Australia, the USA and the Middle East. 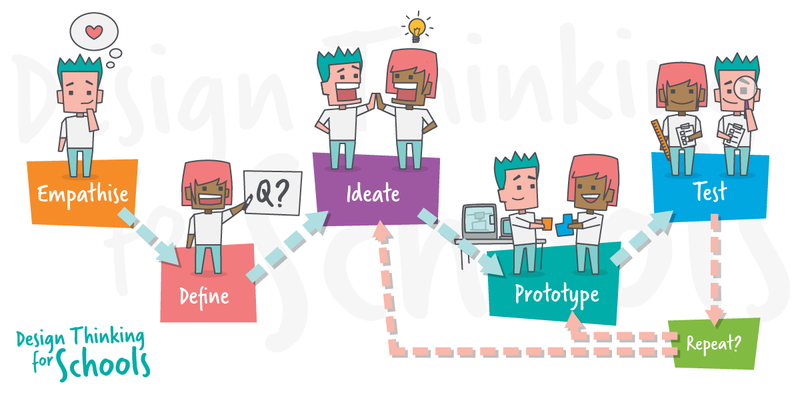 Educators use Makers Empire to teach Design Thinking and 21st-century learning skills like Creativity, Critical Thinking, Collaboration and Citizenship. 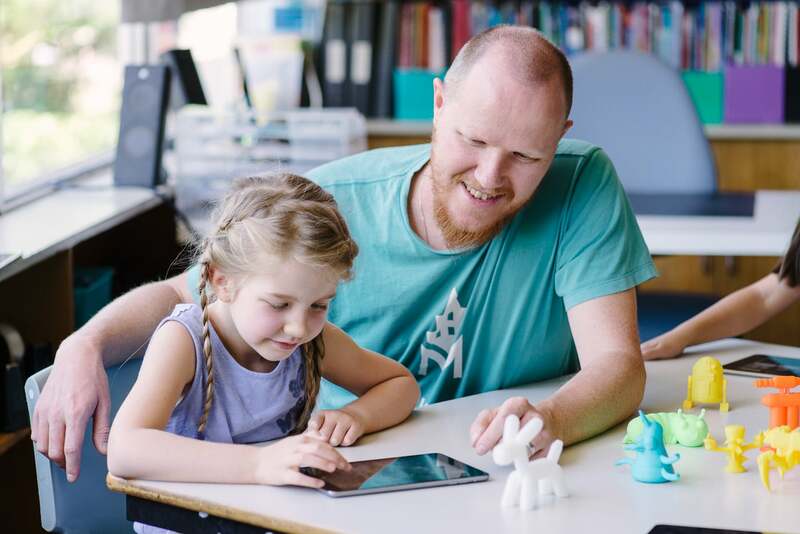 Makers Empire can be used to teach both STEM subjects as well as subjects across the entire curriculum – it is a powerful learning tool that deepens student engagement, increases collaboration and improves performance. Students use Makers Empire 3D to create 3D designs, solve real-world problems with Design Thinking, customise their Hero (avatar), complete design missions set by their teacher, test their skills with curriculum-aligned challenges and tutorials, comment on each other’s work, enter monthly Design Thinking competitions, and create their own 3D games for other students to play. At Makers Empire, we currently work with a thousand schools, 12,000 educators and 500,000 students around the world. Join us. Empathise – we empathise with our educators, students, users, partners and supporters. We put ourselves in their shoes so we can understand their challenges and how we can best help them. Learn – we are constantly learning and growing. We listen to our community. We listen to each other. We pursue self-improvement opportunities. We learn from our mistakes and keep moving forward. Inspire – we inspire, support and guide our community of educators and students to greater heights. In turn, we are inspired by our community and delight in their achievements. Make a Difference – we help provide teachers with the tools and resources they need to embrace creativity and making in classroom learning. We help provide students with the skills they’ll need to thrive in the future. Their long-term future success will be our legacy. Stay Relentless – the road to success is long and winding. We are resilient and persistent when faced with setbacks and do not let challenges deter us. Our belief in our mission and our passion to make a difference spurs us forward. Makers Empire began with an idea and two friends. Over the years, that simple idea has turned into something bigger than any of us could have imagined. But how did it all begin? The Makers Empire team is made up of a mix of dedicated and experienced educators, developers and business managers. Most of us are parents of school age or pre-school age children. We all believe in the power of education to transform lives. We are all passionate about making a difference.